Do you have a friend that is slightly intrigue in CrossFit? Great, bring them with you to class on Friday to our Friendly Fridays! 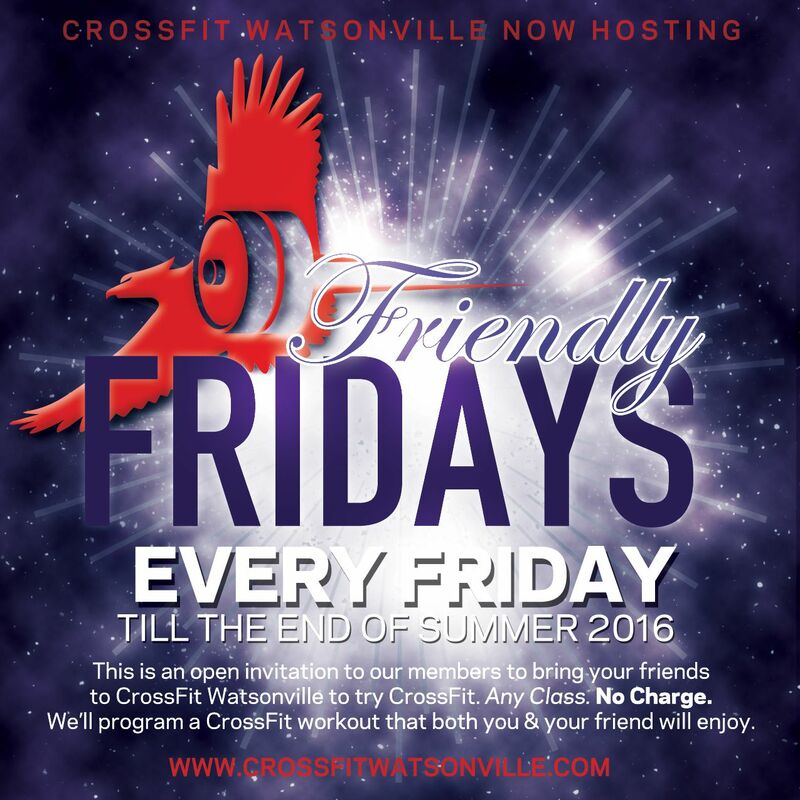 This is an open invitation for our members to bring your friends to CrossFit for a friendly WOD. Any class. No charge! We’ll program a CrossFit workout that both you and your friend will enjoy. Barbell Class is CANCELLED this Saturday the 11th. Our very own leader of barbell, Coach Matt Z., will be graduating from college that day! It will resume back to normal the following weekend.